The Roller Skating Foundation has created three new public service announcements for use by roller skating center owners and operators, schools, educational and fitness facilities, etc. These videos may be edited to add your business logo or information to then be shared with the general public. To download, simply click on one of the links below. 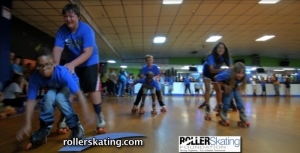 The Roller Skating Foundation is a 501(c)3 corporation operated exclusively to raise money for educational programs, self-esteem and safety programs, and generally promote fitness through roller skating.